The innovative design of our auger system is now drilling into the snow with a central auger built in drive direction. It is supported by each an auger element on the L.H. and R.H. side to move the snow to the center accelerator which pushes it to the vertical impeller, that throws the snow far out. The chute channel on all our 3X Series snow throwers is made of thick solid steel to do the job reliably for many years. With the remote chute flap you can adjust the throwing distance and height from throwing right next beside the machine up to as far as 18 metres away. Turn the chute channel conveniently 200° from left to right from behind the dashboard in no time. The throwing distance can easily be adjusted with the on dash lever. 1. 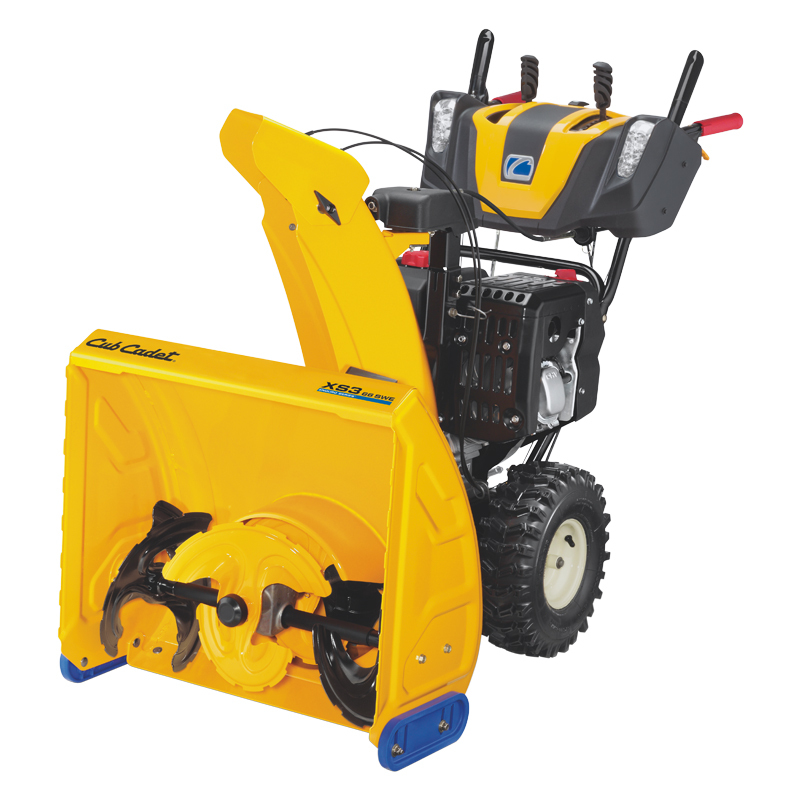 Packed snow: Bringing the lever in the „packed snow“ position, the weight is shifted to the front end of the snow thrower and presses this on to the ground. 2. 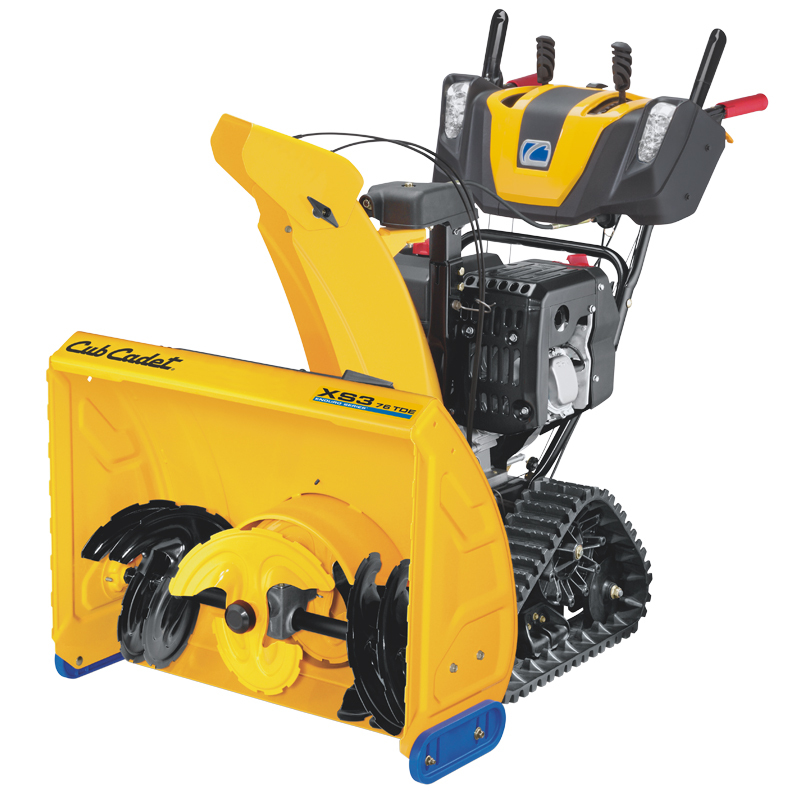 Normal snow: This position allows the user to easily manoeuver the unit in normal snow conditions. 3. 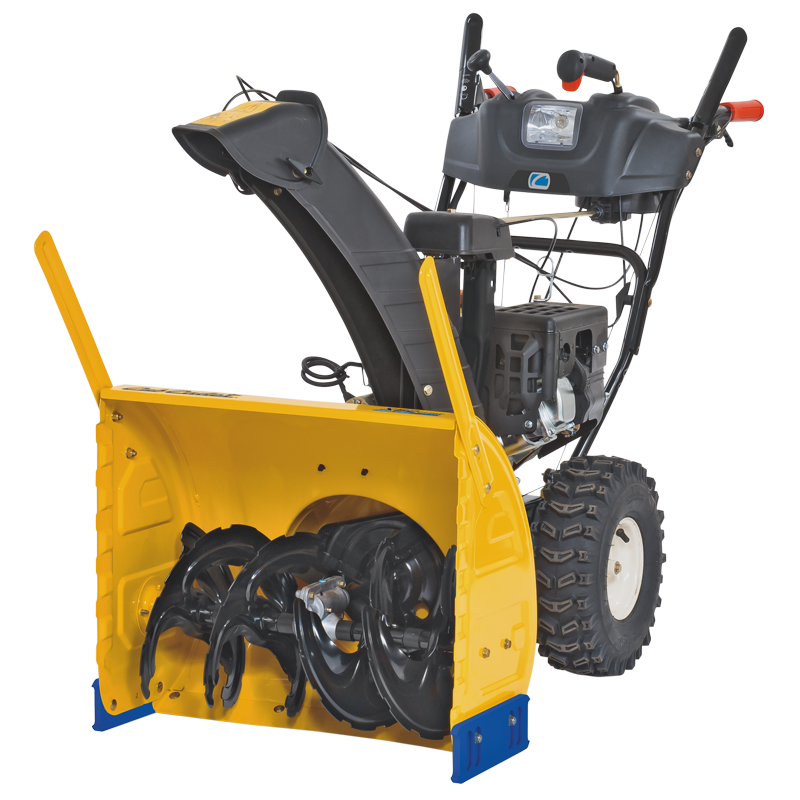 Gravel position: Use this position when clearing gravel or split walkways from snow to prevent gravel to be picked up. 4. Transport position: In this position the auger housing is lifted off the ground for easy moving without leaving scratches on the pavement. The clutch lock system keeps both the drive and auger clutches engaged one-handed. This lets you change the chute direction or ground speed during operation. 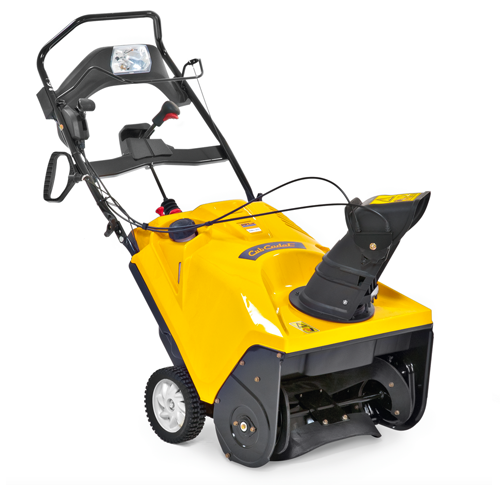 The Cub Cadet 4-cycle OHV winter engines offer improved starting and low emissions and are ideal for low temperatures. Generous displacement ensures sufficient power, even in the toughest conditions. The snow thrower can be steered by simply actuating the steering levers left and right below the guide handles.